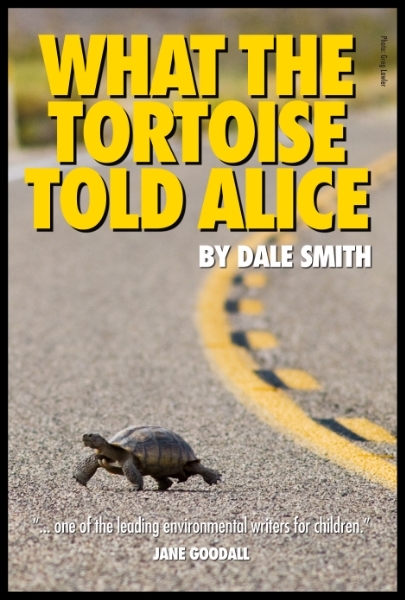 'What the Tortoise Told Alice' Synopsis – just published.
. In a dusty trailer park near Las Vegas, recent high school graduate Alice and Creach, her geeky, eccentric, down-on-his-luck uncle, combine solar technology and whimsy to create a product to help bolster Creach's unique but failing 'Lizard Maintenance' business. Alice and Creach soon realize their invention is much more than a novelty when they discover the important role it will play in helping save the endangered desert tortoise from extinction. Populated with quirky characters in unique situations, “What the Tortoise Told Alice” is written for an older audience... Young Adult-New Adult readers. 'What the Tortoise Told Alice' is available as an ebook and a paperback from Amazon.